Many students use ACT prep books to prepare for the test, but now, with the emergence of an online option, studying may need to receive an update. 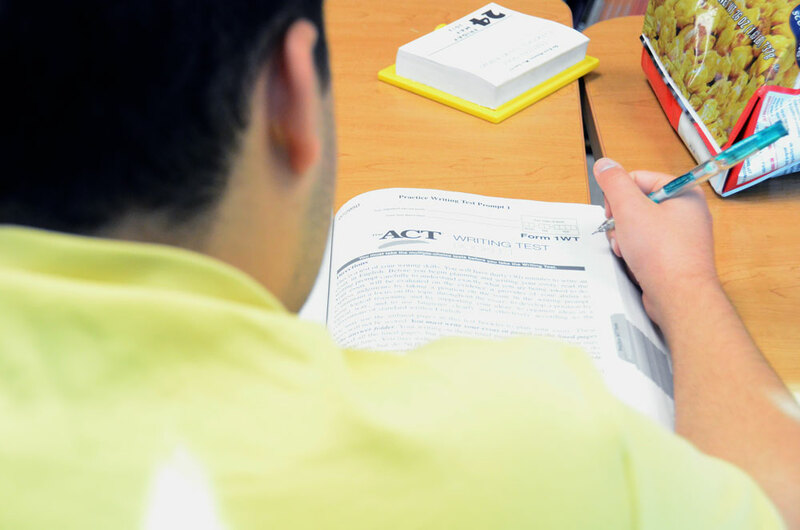 Beginning in the spring of 2015, ACT will offer an online option to the traditional written test. In addition to using a paper and pencil, students will soon have the opportunity to complete the test on a computer for the first time in the ACT’s history. Along with the new option, another factor will be changing as well: timing. Instead of waiting a long three to six weeks for results, composite scores will be apparent within seconds of submitting the test. For many, including RBHS junior Bella Gerhart, the results may be worth any challenges that may accompany the new medium. According to usatoday.com, 1.7 million students took the ACT in 2012 alone, the highest amount of all time. With such popular numbers, the test exceeded its closest competitor the Scholastic Assessment Test for the first time in history (huffingtonpost.com). But despite the popularity, some have already ruled out the possibility of taking the ACT online. Sarah Kinney is a freshman at Jefferson Junior High School. A junior in the spring of 2015, Kinney will be a part of the prime demographic that will take the test. In spite of this, Kinney is not planning on utilizing the new alternative. Personal preference aside, other logistical factors will invariantly come into effect as well. Without having to print or pay for postage, ACT is planning on cutting costs dramatically, but while the organization will save money, schools may be receiving the short end of the stick. Along with the costs of technological updates, the new medium is forcing schools across the nation to rethink traditional test organization. In addition to these changes, bigger schools such as RBHS will have even more to consider: student to computer ratio. Ultimately, only time will show how RBHS will handle these new challenges. In the meantime; however, the school can only plan. Joining the other online tests such as End of Course exams and national tests such as the National Spanish Exam, Kinney believes the online ACT is just another pitstop on the road to the future. How do you feel about this new alternative? How will the online test option affect you?